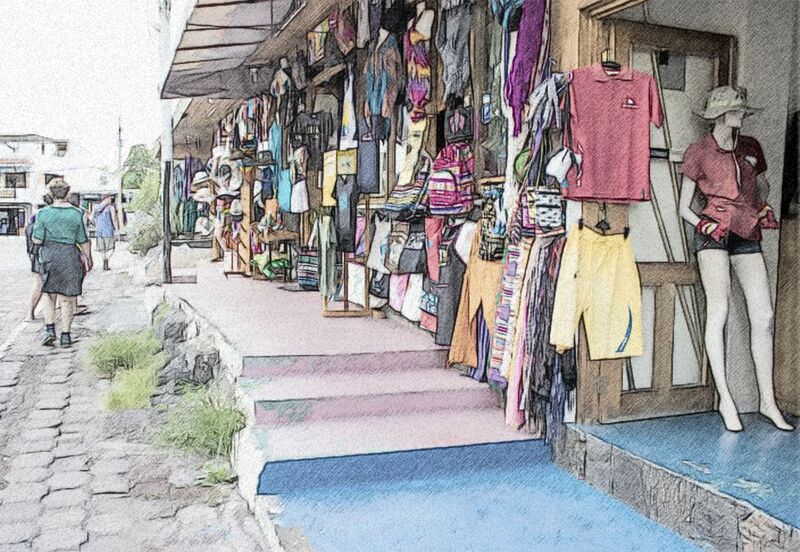 This photograph shows a street view of some of the shops in Santa Cruz, Galapagos Islands. I felt that conversion in Photoshop to a sketch more closely captured the scene. Date Uploaded: Sept. 8, 2015, 4:04 p.m.